Daily Resurfacer is Dermalogica's exclusive three-in-one treatment that resurfaces and smoothes skin without causing irritation or redness helps reduce the signs of premature ageing and brightens with a unique botanical complex that helps even skin tone and balance pigmentation. Designed for daily use Daily Resurfacer leaves skin smoothed brightened and hydrated. The hermetically-sealed pouch guarantees application without contamination or waste while the sponge evenly distributes the treatment and adds to the effectiveness of the resurfacing process. Hydroxy acids gently dissolve dead skin cells and stimulate cell renewal improving skin texture and making skin more flexible. Japanese Unshiu Citrus Peel helps control melanin production naturally brightening and evening out skin tone. South African Rooibos Extract combines with Green Tea as a powerful antioxidant that soothes skin during the resurfacing process. one of the best products you can have - just makes yours skin glow after you use it. It makes it feel smooth and fresh. I enjoyed using these wipes, sparingly, and noticed that my skin both looked and felt better (i.e. pores smaller, skin cleaner/brighter). For the price and number of wipes (35) however, there are other AHA based products out there with equal or more power. 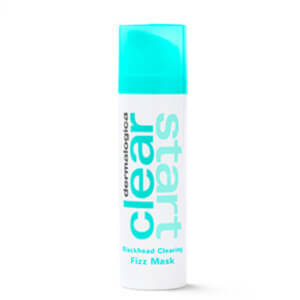 Great for reducing pore size! This is the best product I have ever used for exfoliating without irritation. It has had a dramatic effect on enlarged pores and uneven skin tone. It has left my skin smooth and glowing. I wouldn't be without it!